Kit Server 13 is an add-on program for Pro Evolution Soccer 2013 (and Pro Evolution Soccer 2013 DEMO). It is a loader and manager for various modules, where each module is built as a (typically) independent DLL containing logic to enhance the game in particular aspect. While originally the Kitserver was developed to "serve" kits Pro Evolution Soccer 3, a lot more functionality has been added over the years. 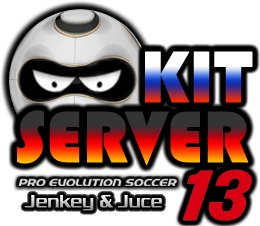 Download Kitserver 13.0.1.0 - Support PES2013 Full Version. This is a mod for Pro Evolution Soccer 2013 video game.